The frame "Point refinement" contains a table with the list of input point refinements. 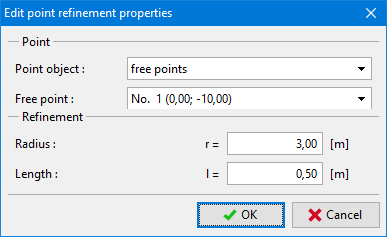 Adding a point refinement is performed in the "New point refinement" dialog window. Refining the finite element mesh around points is an important feature, which allows us to create an appropriate finite element mesh. Both free points and points pertinent to individual interfaces including terrain can be used to refine the original finite element mesh. 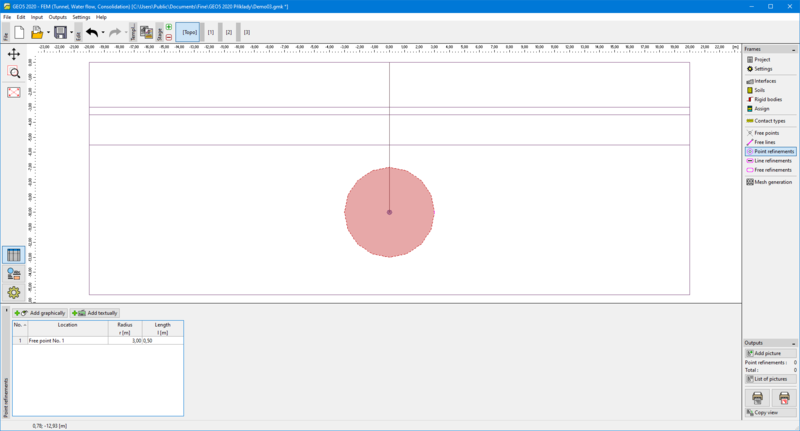 The point refinement can also be edited on the desktop with the help of active objects. Dialog window "New point refinement"